The underpainting is finally complete. Now the real work begins. Fortunately, for me, the next stage is my favorite part of painting. The refining layers. 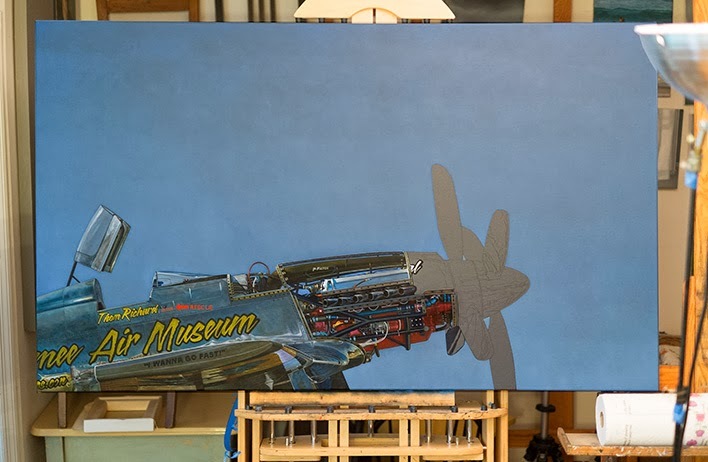 I'll probably hold off on anymore "in progress" posts since the upcoming photos won't look that different from the image above taken in my studio. 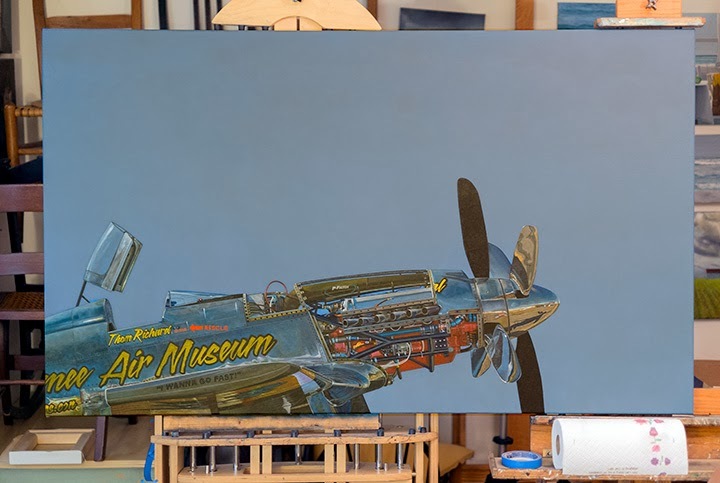 The final post will be of the completed painting shot with the "good" camera in hi res with appropriate lighting and none of the background clutter. I've got the first pass of engine in place, and now it's on to the prop and the spinner.